ALIA is an internationally respected Electronic Music Producer, DJ, Vocalist, and Producer of the Feminine Medicine™ Project based in the San Francisco area. Inspired by the global bass movement, her music is an evocative, lush journey into her own blend of bass-heavy electronic dance beats, melodic frequencies, gorgeous feminine voices, conscious lyrics, and sacred psychedelic sounds. Described as feminine and fierce, elegant and gritty, ethereal and primal, her music unfolds in a pulsing, hypnotic journey that moves both bodies and hearts. The Desert Dwellers, CloZee, Deya Dova, and many more. For 10 years ALIA has played at dance hubs around the world and has been a long-time resident DJ for the thriving global movement, Ecstatic Dance. Her original music is featured on the soundtrack to the popular documentary, "The Bloom Series”. ALIA is the visionary behind Feminine Medicine™, a series of collaborative albums and stage shows that brings more feminine voices to the dance floor. So far she has collaborated with over 30 artists for the albums and the stage shows. So far she released “Feminine Medicine Volume 1” “Feminine Medicine Volume 1 Remixes”. Volume 2 is in production~ release in 2019. EDMTunes.com said, “ALIA is paving the way for women in the conscious electronic music world” and ALIA was named a "Woman Changing the Planet" by ORIGIN magazine. ALIA is a mentor to other women leaders through her private mentoring program, Revolutionary Woman, and she is CEO of her women's empowerment company, Femvolution™. 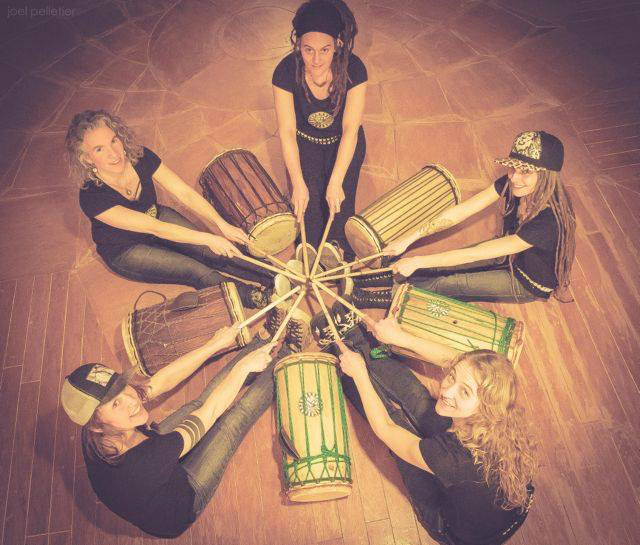 Hope Medford is the hand drummer for world roots rock band, Medicine for the Peo​ple (Nahko.com) since 2007. She has been playing percussion for over twenty years, the djembe and bajo cajon are her main instruments. Her first teacher was Babatunde Olatunje, and she has studied with master drummers in West Africa, Peru & Brazil. As she has explored her own voice in her solo music, her style is a fusion of these many cultures and influences. Multilayers of world percussion instruments blended with powerful female voices meant to soothe and inspire. ​She has produced 3 solo albums~ Back to the Mother, Purify, & Bring to Light. Her newest musical project is CedarWing, a feminine trio which electrifies the stage. 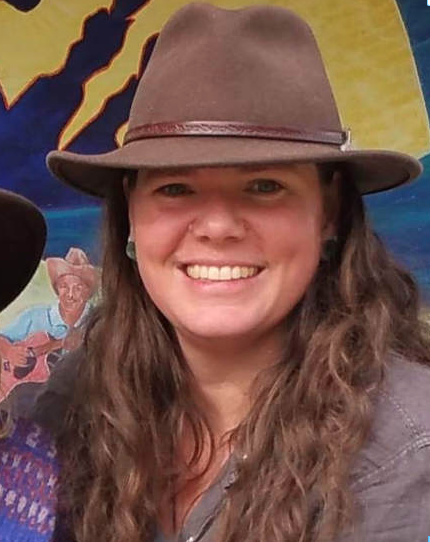 Hope is an environmental activist, co-founding a permaculture education farm in Oregon, she has worked to support women and families, having helped deliver over 400 babies as a midwife, and she loves to share music as a form of empowerment and healing for youth, having facilitated drum circles for over 2,500 participants. the Joy’s and Celebration of Creation. Deeply inspired by Gaia, she finds fuel for the fire of this expression through Vigilance and Awareness of the state of the Earth and our Relationship to Land. Inspired by her travels and tours throughout the West Coast, Cascadia, B.C., Minnesota, Hawaii and beyond. 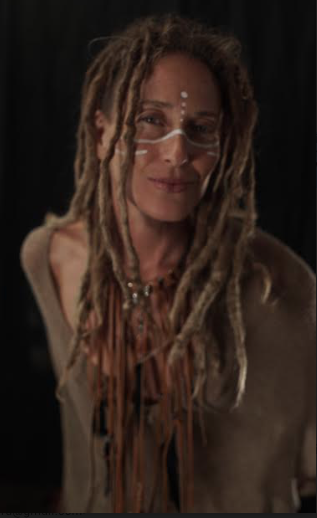 Sara Tone comes with Songs, Stories and a curious, reverent nature to help connect Community through Music and deepen our Sacred Relationship with Land, with Gaia,with Creation, with life and with each other! This music is always an opportunity to Give Thanks and bring us that much more Close Together! and to apply the practice in today's life style. 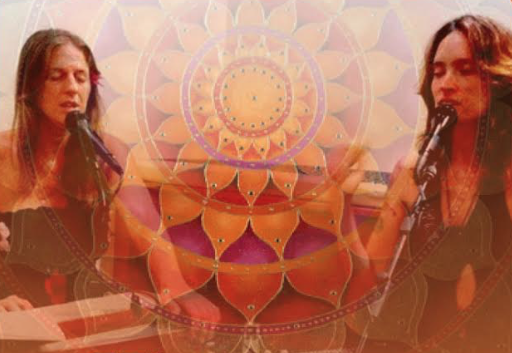 Check out her most recent album release, "There's no Place like Om," a healing, worldly sound journey with Vedic mantra and inspired prayers & compositions. This powerful trio creates feminine soul folk ~ soothing vocals, sophisticated strings, and a beat that makes you dance. Their sound is a woven tapestry of three part harmonies and powerful rhythms offering a message of healing and upliftment. Their unique instrumentation of guitar, banjo, hand percussion, and Cajon gives a worldly yet familiar feel. Each woman is an independent songwriter and performer, Inspired by the path of music as medicine. When they collaborate their skill and experience on stage is electric. musicianship comes with the role and responsibility to create movement among listeners in order to generate positive social change. Kuʻulei was born in Hilo and raised in Panaʻewa and Keaukaha, Hawaiʻi. She speaks fluent Hawaiian and enjoys working with her community. In the past, she has taught ukulele lessons to Panaʻewa youth through a program that was sponsored by the Queen Liliʻuokalani Children Center. Kuʻulei is actively participating in native Hawaiian programs by teaching young students about the relationship between Aloha ʻĀina ʻOiaʻiʻo, their connection to themselves, their families, and their communities, and Native Hawaiian Health. Kuʻulei’s most recent work includes the composition of a song found in the Ka Leo o ka Lāhui newspaperʻs February 21, 1893 article, entitled Mele no ka Puni Lilelile, which touches upon the wealth of indigenous knowledge and its application to political and social justice. In the future, Kuʻulei hopes to develop curriculum for school-aged children using songs like Mele no ka Puni Lilelile to activate their central understanding of self-worth through the perpetuation of Hawaiian knowledge. one manaʻo at a time. My primary focus while offering music is fun. I play music that moves your feet from around the world. I like to take the dancers on a mind expanding journey through a multifaceted soundscape. ​Exploring many different genres that are all linked together through a deep bass line and seasoned with wild organic instrumental accents such as flutes drumming and chanting. Imani and Jay met in 2009, working for a variety of environmental and human rights campaigns in California. Music had always been secondary to work they were involved with until a move to Big Island in 2016 sparked Ok2Change. With Imani on vocals, Jay on guitar, and a host of other musicians in support, Ok2change is a blend of folk and hip hop meant to inspire meaningful change within hearts and communities and to make music that connects us. Since 1990, wordsmith Patterson weaves spirit and unifying social commentary, now around the world, on festival stages, at folk music and conscious music gatherings, healing gatherings and in concert venues of Southern Oregon and Northern California, in Hawaii every winter for the last nine years, in Europe summers of 2008, 2011, 2013 and 2016, and December 2012 in Mexico for Synthesis Festival! Based in Southern Oregon, independent and supported by her community, Diane considers herself a micro magical munition of manifesting: nature consciousness, cleanest food for body and mind, best balance and highest integrity of relations between all Beings. from the Slocan Valley, British Columbia. and just relations, Love, Integrity and Strength. from the culturally rich regions of West Africa. with full power dance choreographies focused around the drum. tapestry for ourselves and each other, one that can embody messages for our modern times. We sound these themes with strength and joy, through drumming, dancing, theatrics, song and spoken word. She is excited to be returning to MAnaFest for the third year. Sierra Marin is a conscious musician playing folk reggae music with a touch of hip hop. She seeks to inspire as many people as she can to remember their divinity and perfection, and the power of unconditional love. Sierra sings for a return to the ancient ways involving community and reverence for the earth. Off The Grid Music Is Tiana Malone Jennings on vocals and ukulele, and Hawk Devi on violin. With the help of looper and effects pedals they create a full band sound with their dynamic music and progressive lyrics. Powerful vocals, and tremendous skill on the violin, playing traditional Hawaiian music to Pop & Roots Reggae this powerful duo sure has a lot of fun! Tiana Malone Jennings is a Multi-Genre Singer-Songwriter, Tiana Malone Jennings started her musical journey early born to a musical family she was playing bass, guitar and piano by age 5. Working hard in College to finish her degree, she found herself on an unexpected journey to Hawaii. 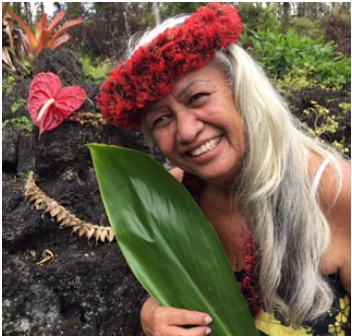 Living with a mesh of worldly cultures & eclectic musicians who are neighbors to the Volcano Goddess Pele, has been a humbling, soul-growing experience reflected through her music. Also an energy worker, she tunes to ancient solfeggio frequencies known to be healing. Tiana & Off The Grid are winners of many Hawaiian musical awards, and Hoku nominations. Recently she worked on a project that got on the preliminary round for the Grammy Awards! Hawk Devi was performing classical music by the time she was 6 years old, performing through Japan, where she lived until the age of 12. In her early 20’s she traveled through Europe, playing on the streets and listening to jazz. Returning to the US, she co-founded a improv group, the Connection. Hawk performed and created music with the Connection for 12 years in Baltimore Md. Then Hawk moved with her family to Hawaii, where she plays and performs with several bands. Hawk has been a mediator for 30 years, performs an ancient ritual called Agnihotra that purifies the atmosphere, and is a Reiki Master and a Deeksha giver. Maya Elena is a songwriter and singer from Minneapolis MN. Her lyrics are rooted in restorative justice and transmuting pain into power, darkness into light, and struggle into beauty. The acoustic guitar work resembles folk fingerpicking and exuberant strumming patterns of jazz and rock influence. She performs as her solo act, Maya Elena, with her 4-piece rock band, Illusion Valley, and sings & tours with Wookiefoot, as featured on "The Road" and "You're It". A serving of folk, a dash of jazz, and a sprinkle of sass! bringing a spirit of devotion and a message of oneness. She guides listeners on a sacred soulful sound journey back to the wisdom of our heart centered selves. Omra is a Big Island resident since 1994. Her creativity is endless, and her musicianship has expanded from songstress to electronic producer. 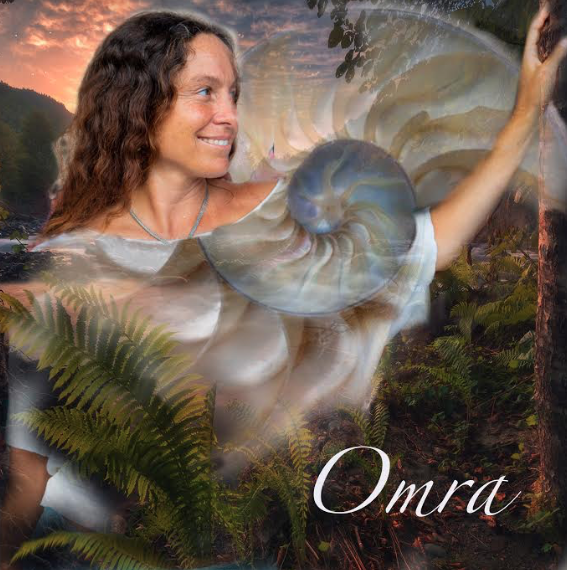 She works as a Visionary Artist, Singer/ Songwriter, and is a clothing designer for her yoga/ dancewear line, Omra Organics. You can find her artwork at Heartist, giclees, Visions Oracle Cards collection and prints, on the Bayfront in Hilo HI. She also has a shop/studo on the bayfront with her clothing, at 144 Kamehameha ave, Hilo Bayfront. You can visit her online store on Etsy.com/shop/omra. Omra also practices healing arts, leads singing circles, cacao circles, and other ceremonies as well. Singer/Songwriter Veronica Rose is inspired by her journey of accessing states of grace. Guiding one through an array of emotions, she promotes self love & awakening to your individual true authentic self. She creates soulful "theta" folk medicine music, enchanting the journey of living awake in this dream via 432mHz and voice. storytelling make for a unique experience. Laurie Kali performs with a 22-string slide veena, an instrument similar to the Indian sitar and Hawaiian lap steel guitar. Laurie also plays the ancient 39-string Indian sarangi. She has classical training in Indian and South Asian Music. Deborah Masterson, plays Korean changgo as well as wooden flutes to accompany. She is an Advanced TaKeTiNa Rhythm Teacher, has had a long association with the Halla Huhm Korean Dance studio in Honolulu. Her 30-year exploration of rhythm in its many forms includes West African dundun, Cuban and Congolese congas, dumbek, and frame drum. Deborah and Laurie currently offer workshops in Hawaii. ​They will be joined at MAnaFest by Isra Kadjira Chengi dancing and Joanne Garrigan on tempura. Sarah Bethany is excited to share a fresh new sound created with Marcio Roberto DaLari and Matt Spencer. A native Brazilian, Marcio is coming to Hawai'i for a 7 week tour and Sarah put together this opportunity to include Marcio along with her bass player Matt for a special performance at the 2019 MAnaFest. Sarah will be expressing herself through heavily Brazilian influenced Latin and world music blended with Matthew's authentic Cuban artistry and Mr. DaLari's indigenous percussion. 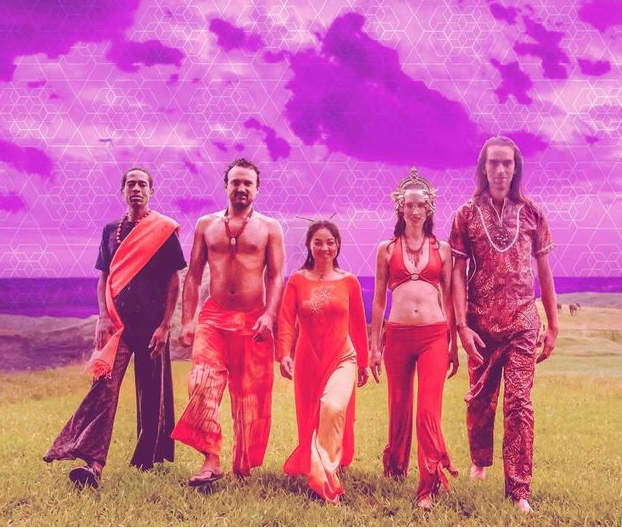 Robinette and Aim have been sharing their love for Kirtan for many years in their Lower Puna community as well as for yoga teachers trainings and retreats. They will be joined by Dr. Chris on mridunga for an inspirational and devotional journey of sacred music and chanting.